Our relentless drive to create makes us unique among living creatures. What is special about the human brain that enables us to innovate? Why don't cows choreograph dances? Why don't squirrels build elevators to their treetops? Why don't alligators invent speedboats? Weaving together the arts and sciences, neuroscientist David Eagleman and composer Anthony Brandt explore the need for novelty, the simulation of possible futures, and the social components that drive the inventiveness of our species. 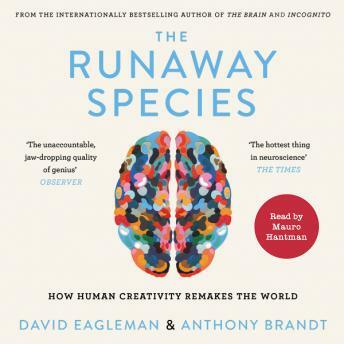 Taking us on a tour of human creativity from Picasso to concept cars to umbrellas to lunar travel, Brandt and Eagleman explore the cognitive software that generates new ideas, and illuminate the key facets of a creative mentality. Through understanding our ability to innovate - our most profound, mysterious, and deeply human capacity - we can meet the challenge of remaking our constantly shifting world.